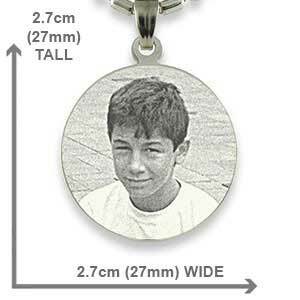 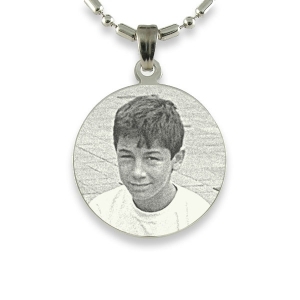 This is a round sterling silver photo pendant that is 27mm in diameter. 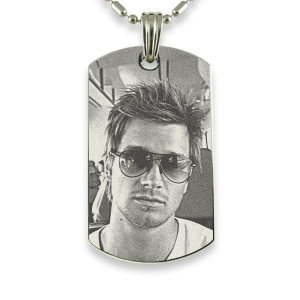 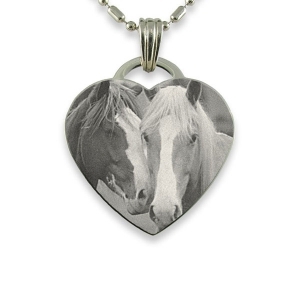 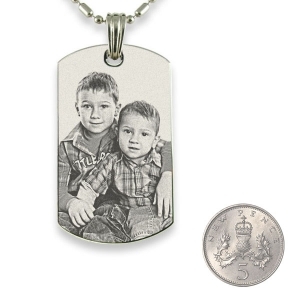 It can have a couple head to head or family in a diamond formation engraved on the face and a dedication on the back. 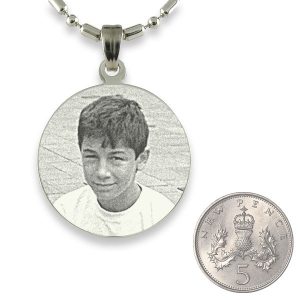 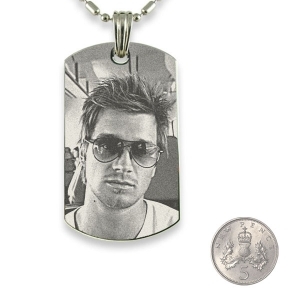 The pendant is stamped on the back with “925 Silver” in a small area at the bottom of the circle. 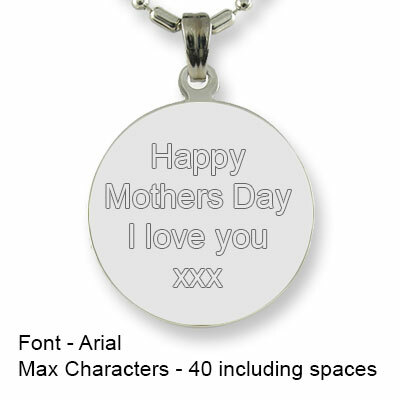 If you want an engraved message on the back we recommend no more than 40 characters including spaces. 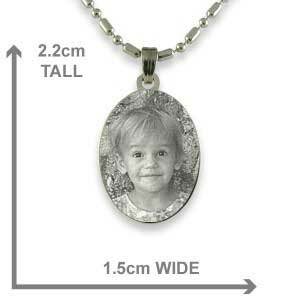 Silver pendants are classified as hypo allergenic jewellery; which means they are safe for people with nickel sensitive skin. 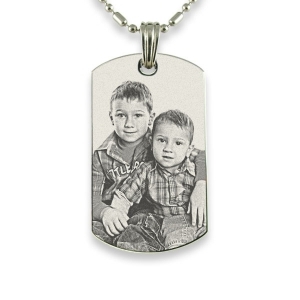 Treasure a photo engraved reminder of a loved one by keeping it close to your heart! 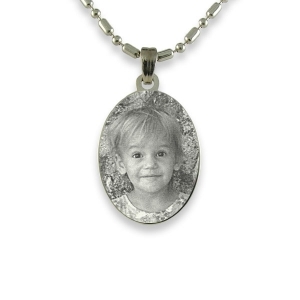 Photo engraved silver jewellery makes the perfect gift for a new born baby shower, christening, wedding, birthday, anniversary or as a memento of someone who has passed away. 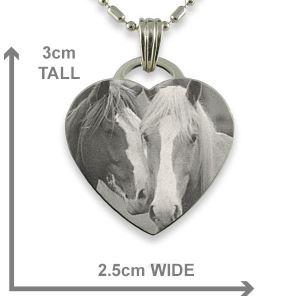 absolutely delighted with my pendant it was a present for a friend, it made her cry..ordered it on the 14th and it was delivered by the 18th,thank you i will be reccomending you to family and friends.